I KNOW! It's bad. What's even more embarrassing is how long it looked like this before I did something about it. Too many coats - including many that we never or almost never wore. Cluttered top shelf that was in no way organized. Shoes in a huge pile. Coats on the floor because the 4 year old isn't tall enough to hang them on hangers. I got everything out of the closet so I could see what I really had. Anything that we used less than twice a month got put away in a different part of the house. Anything we didn't want anymore, we set aside to sell. I vacuumed and wiped everything down. I also fixed the hinge that was keeping the door from being able to close all the way. Of the coats, shoes and other things we were keeping, I sorted them into piles by person. 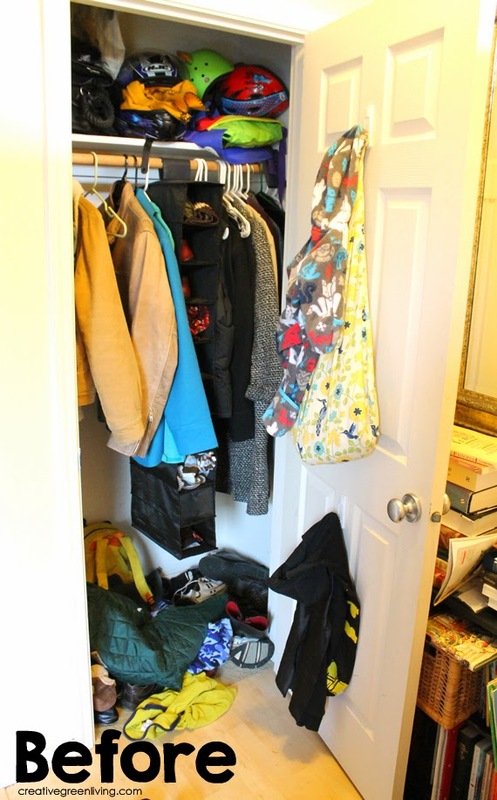 The coats were hung in the closet, the shoes were put on the shoe rack (each person has a shelf), the accessories were put away in that hanging IKEA drawer deal you see in the pictures. 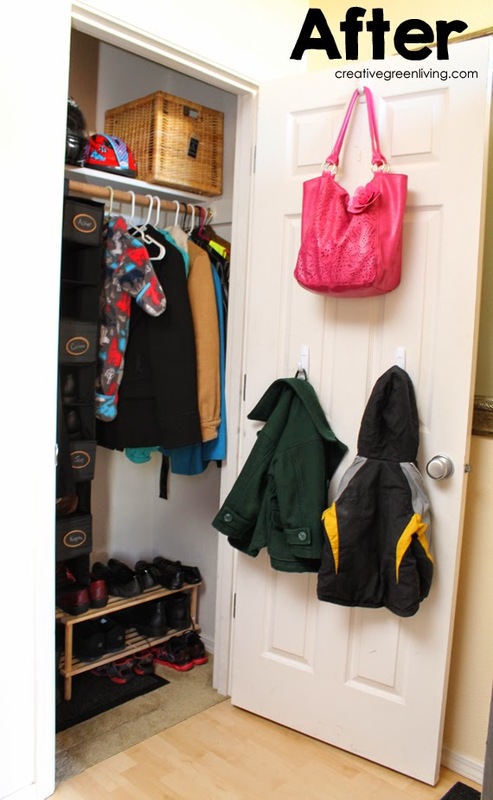 I added hooks to the door so that the 4 year old can take care of his coat and backpack independently without throwing it on the flook or needing a grown up to hang it for him. I also have a place to hang my purse now. I added labels so family members could easily find their bins. 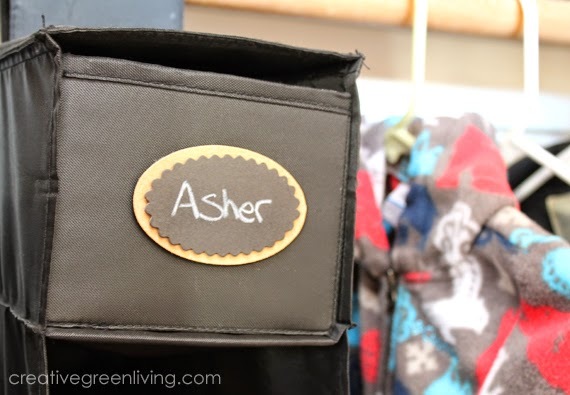 Labeled bins make it easy for everyone to find the spot their things go in. 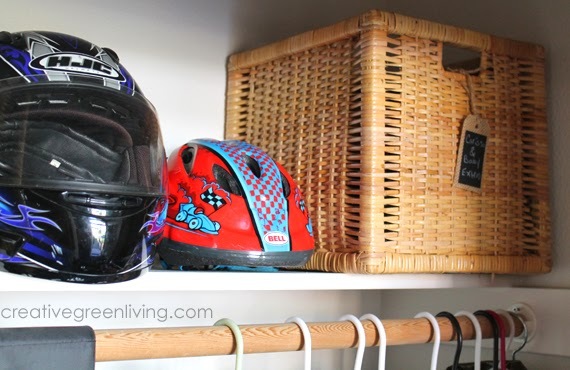 Keep less used items (like helmets) up high. 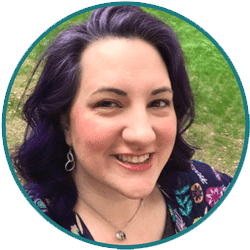 Use a large basket to hold onto smaller items. Keep shoes organized by giving everyone their own shelf. 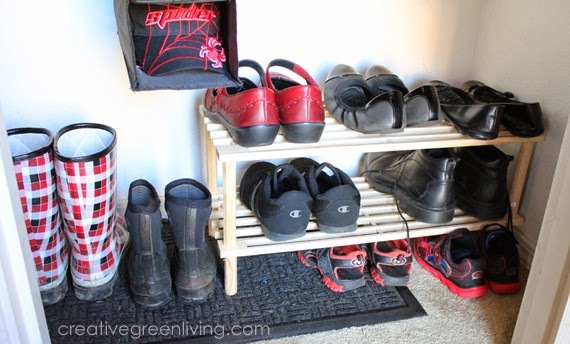 Put a rubber-backed mat next to the shelf to hold boots that come inside with rain or mud on them. 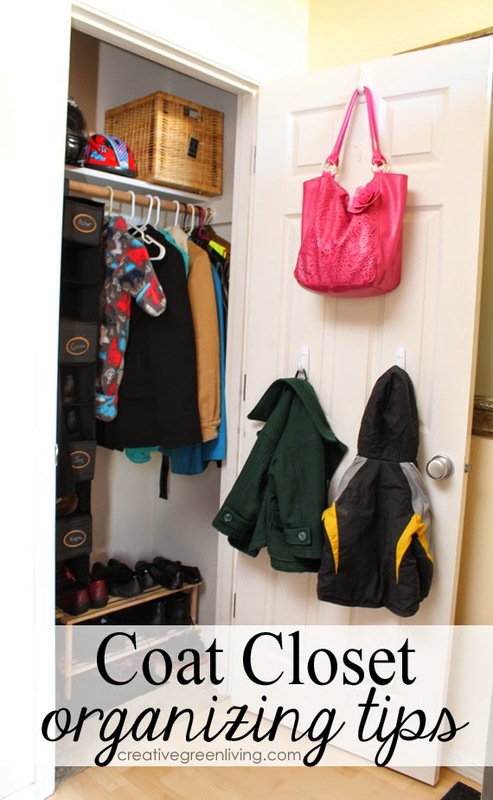 Need more organizing ideas? 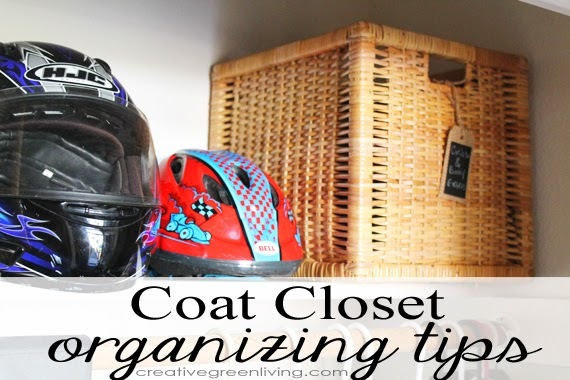 Check out my other posts on organization as well as my posts on cleaning.